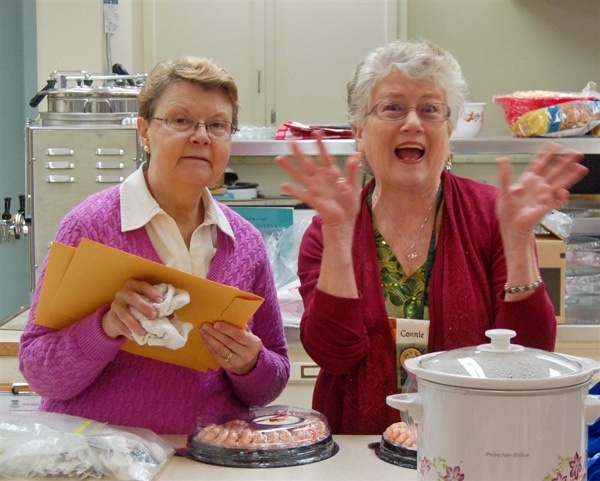 Decembers Pot Luck is always a great time. 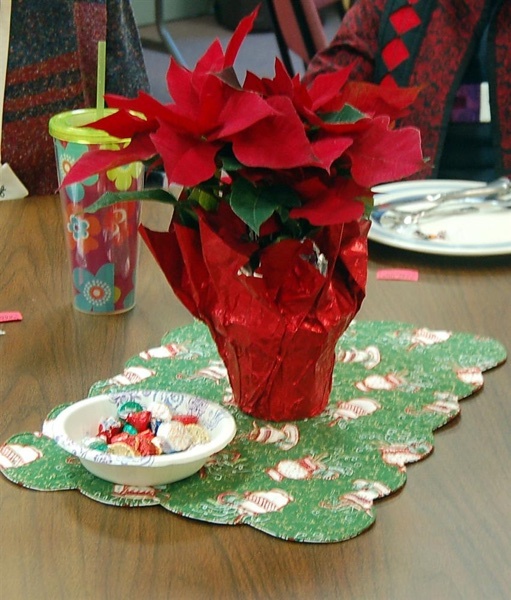 Festive tables are set, excitement grows as wrapped packages are brought in and mouths water as the dishes are set out on the tables. 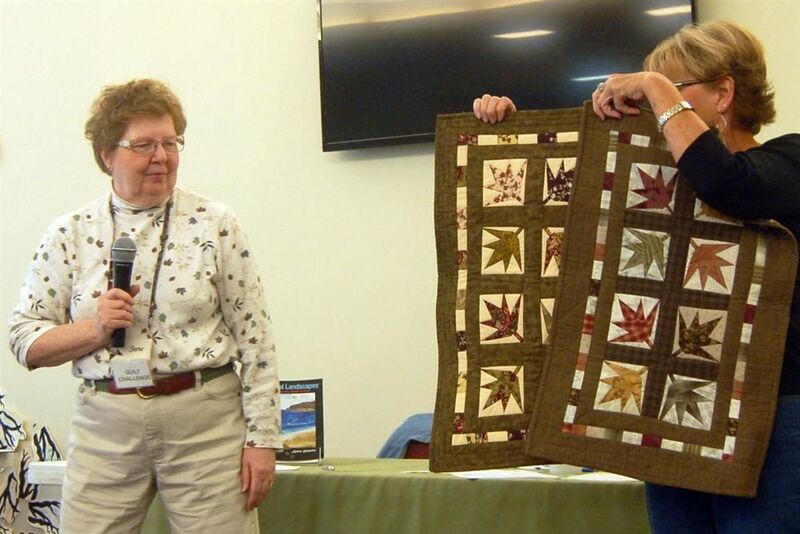 Karen Eckmeier's (our guest lecturer/teacher) method of layering and topstitching technique in her landscape quilts as well as in clothing and other quilts are stunning. 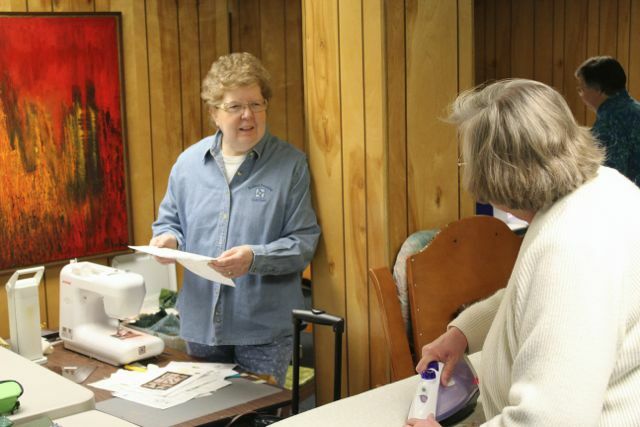 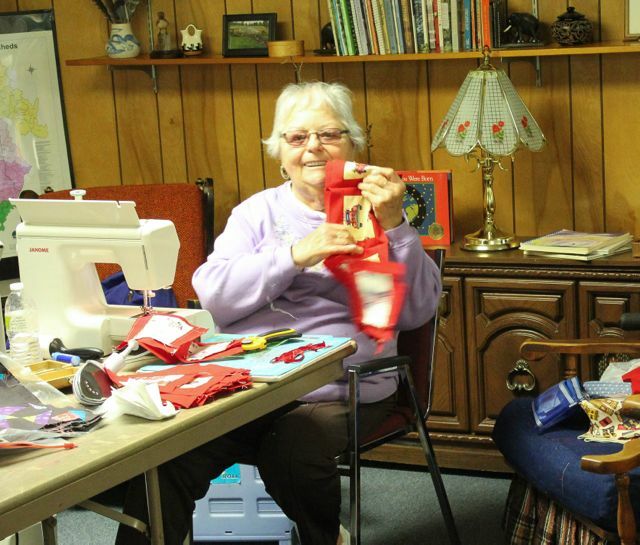 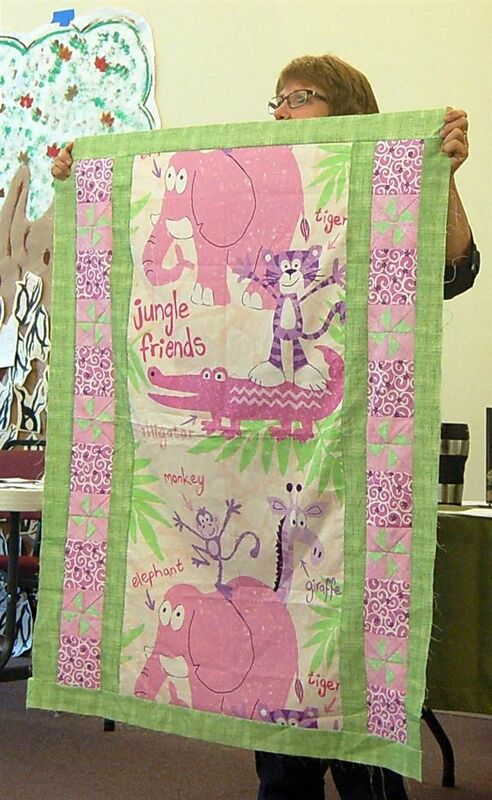 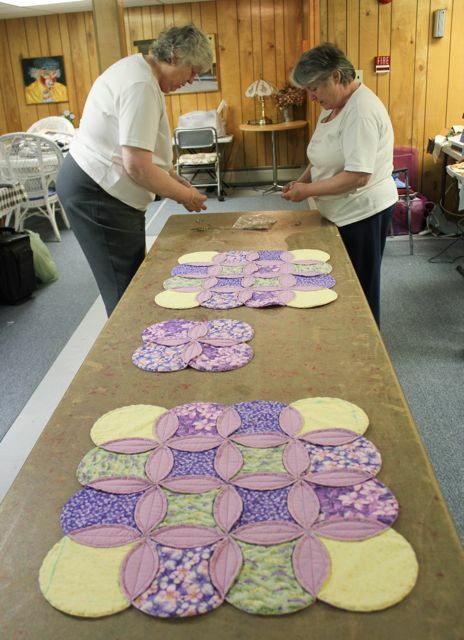 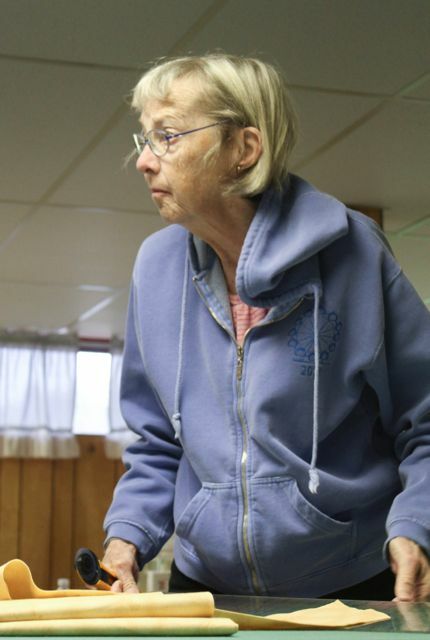 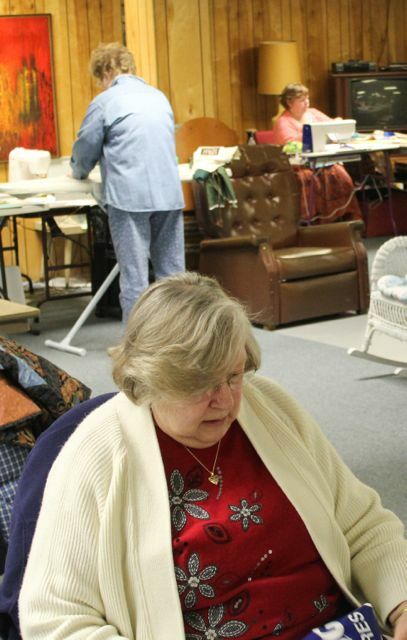 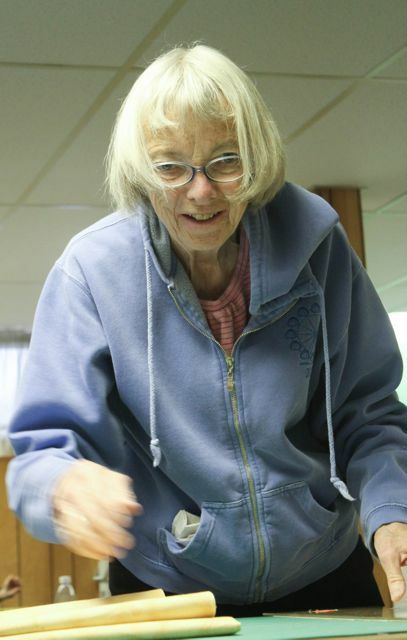 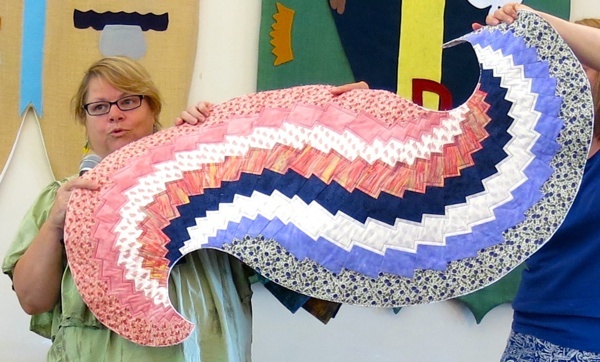 Karen turns fabric into pieces of quilted art work. 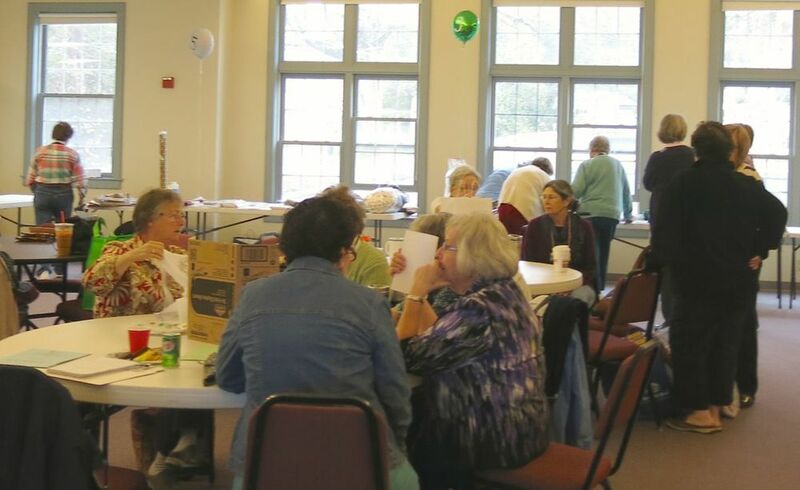 Through the generosity of the members, it is possible for all to gather prior to the meeting for conversation, coffee/tea and wonderful eats. 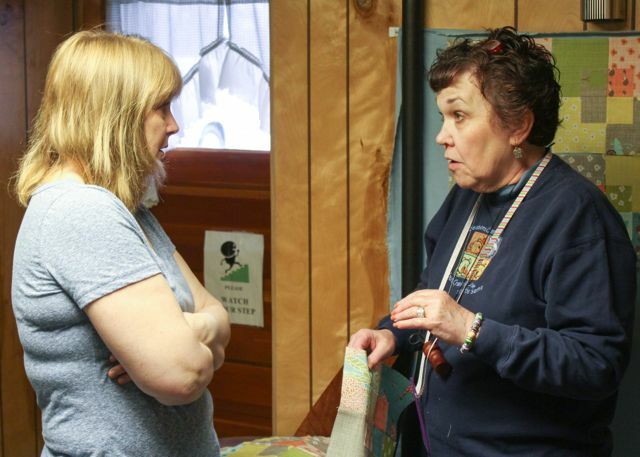 We call it the Snack 'n Yack time. 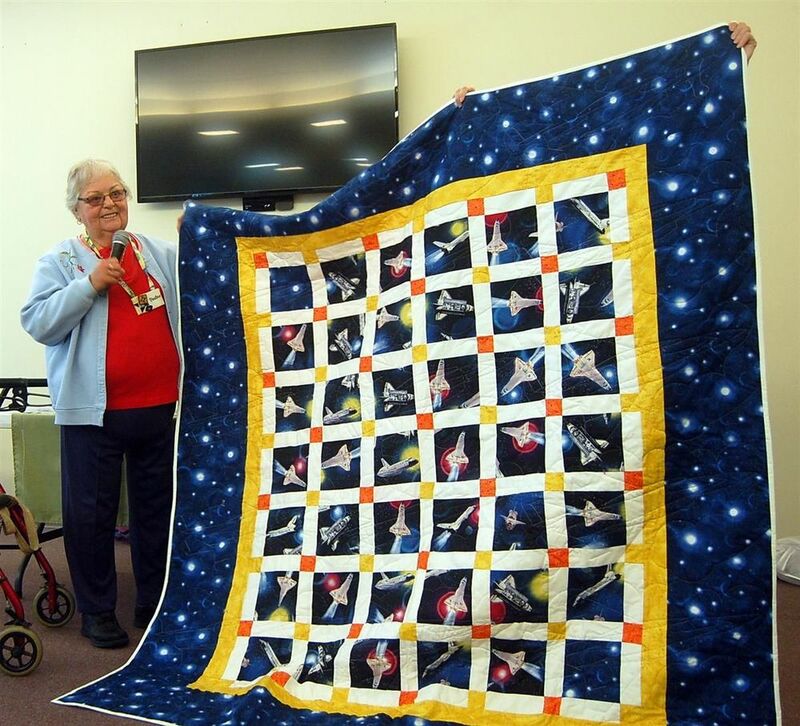 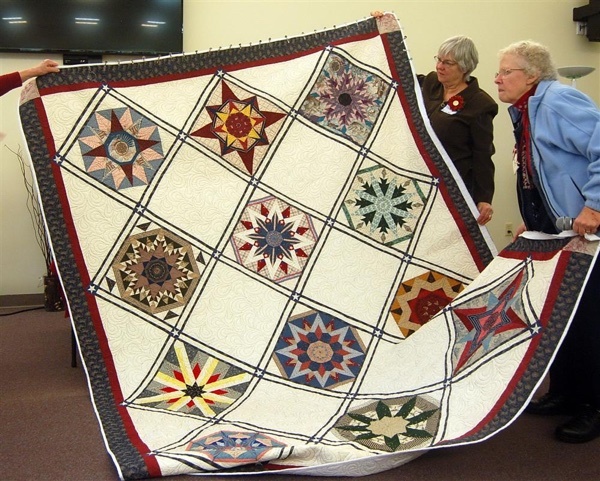 It was with pleasure that the BFQG honored and gifted two WW II Veterans, Bob Sundeen and Frank Lindh, each with a Quilt of Valor. 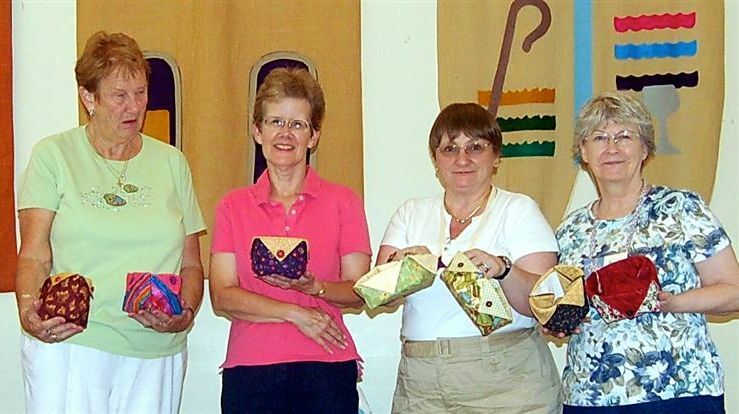 Pictured with the men are Tommi and Pam. 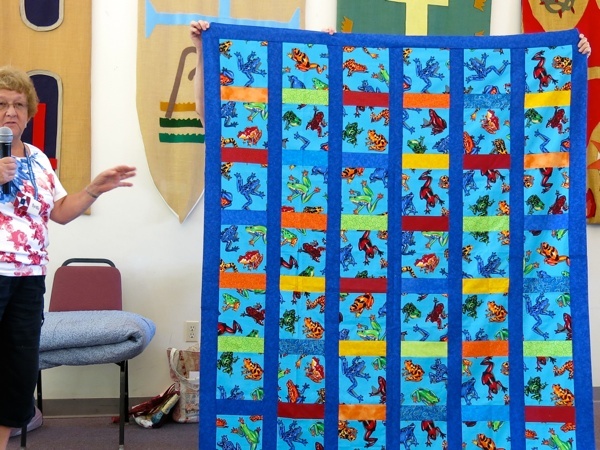 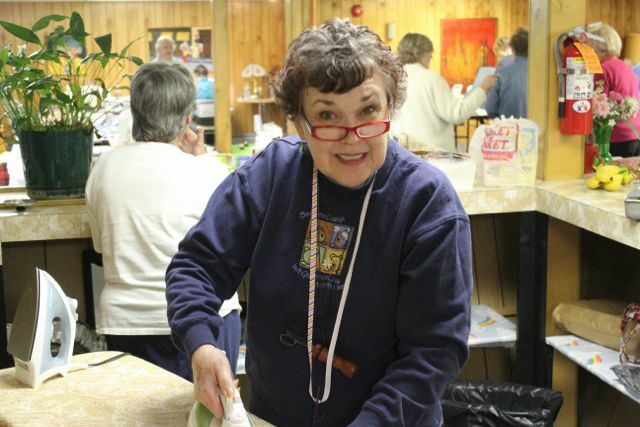 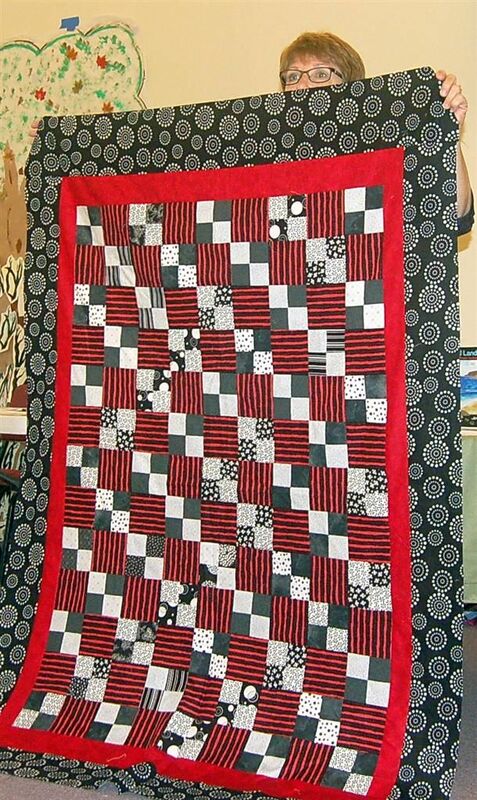 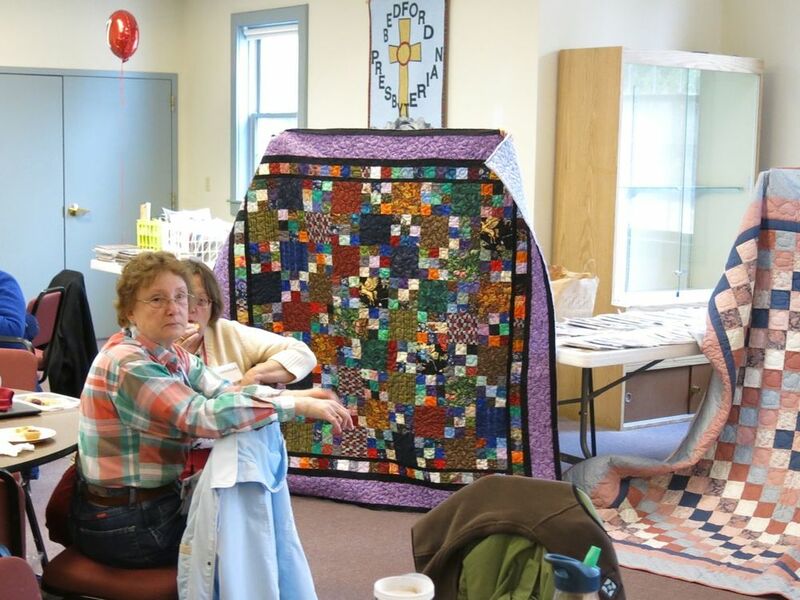 A retreat environment to help one create beautiful quilts in a very relaxed atmosphere. 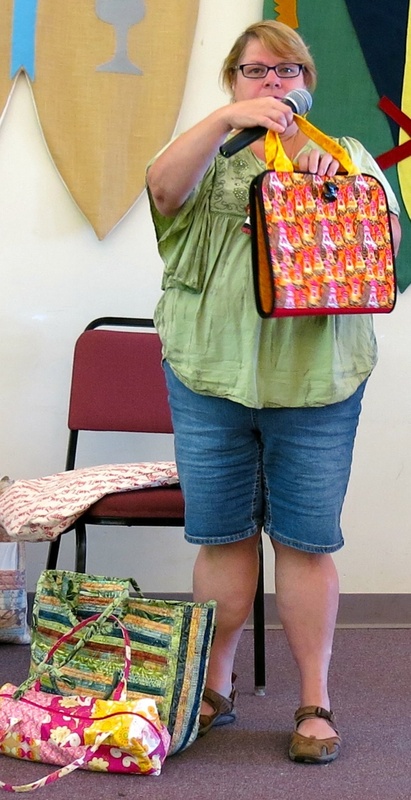 You don't even have to cook a meal! 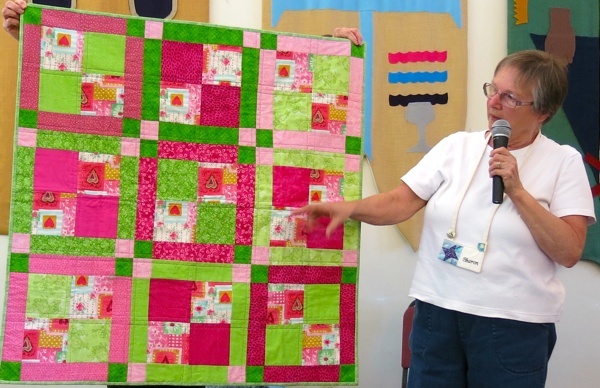 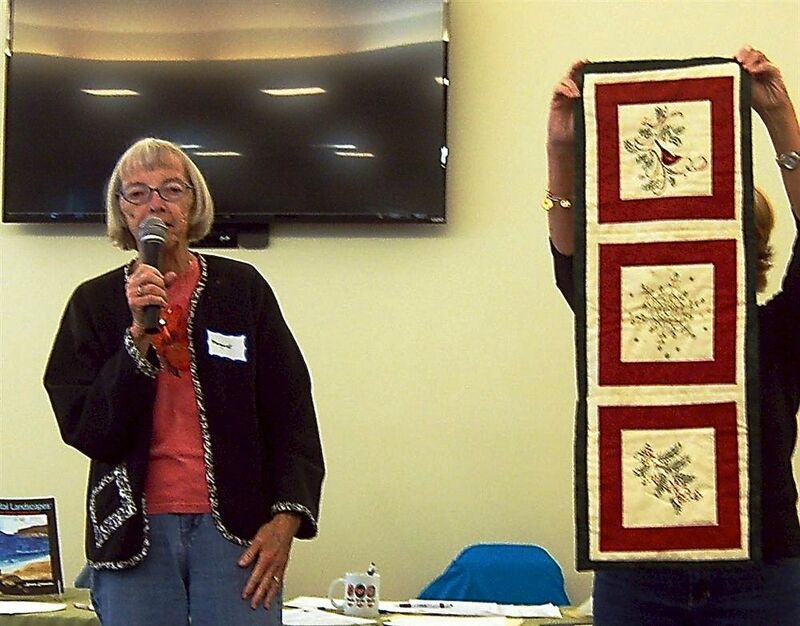 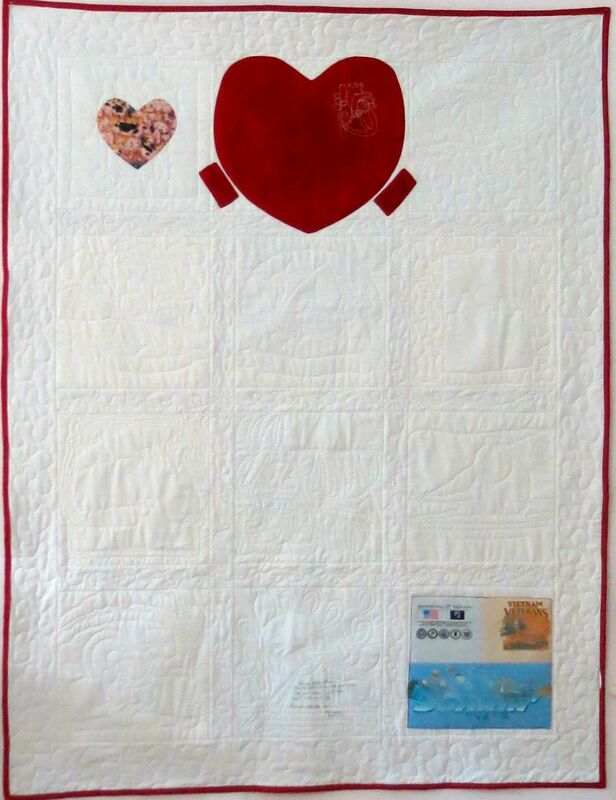 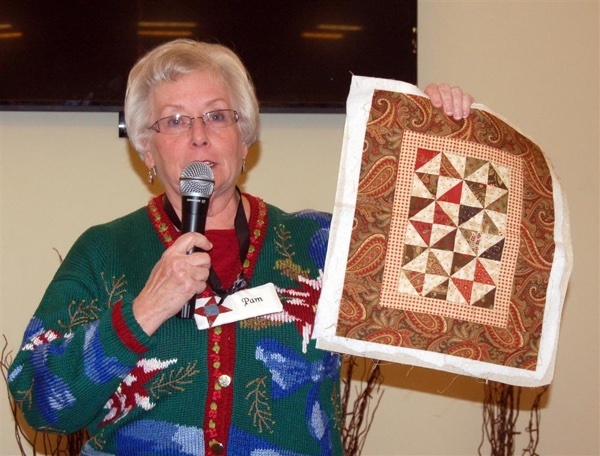 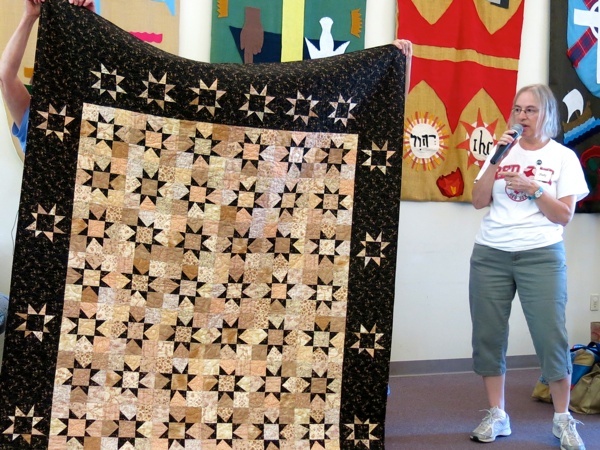 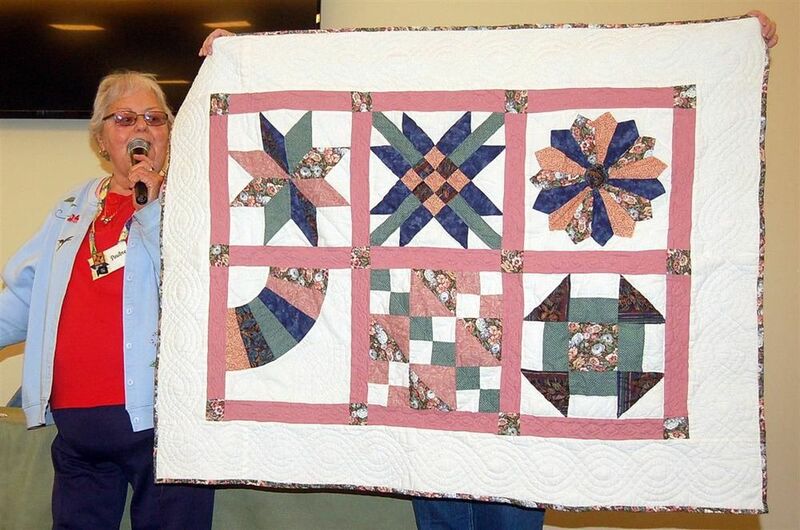 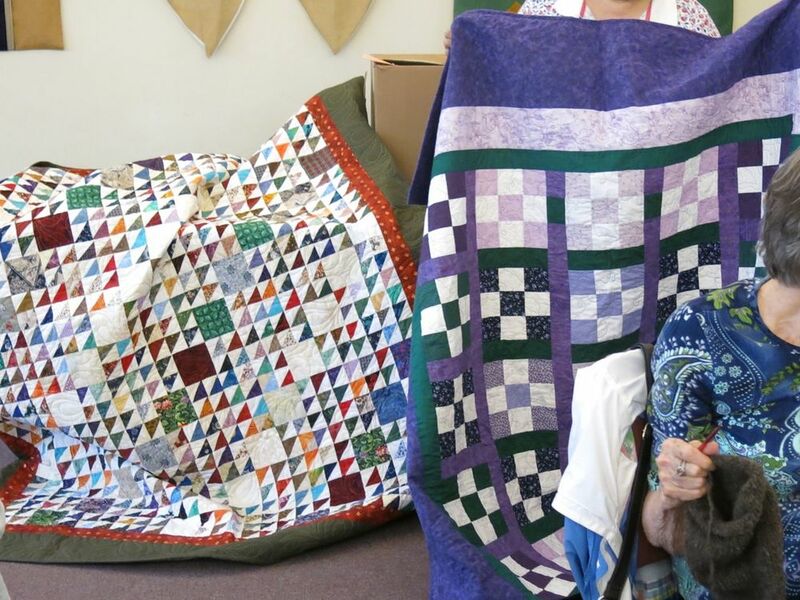 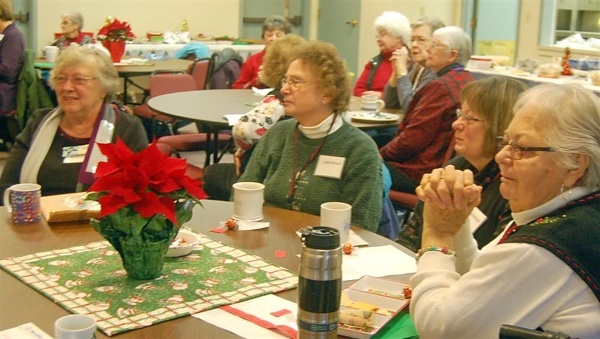 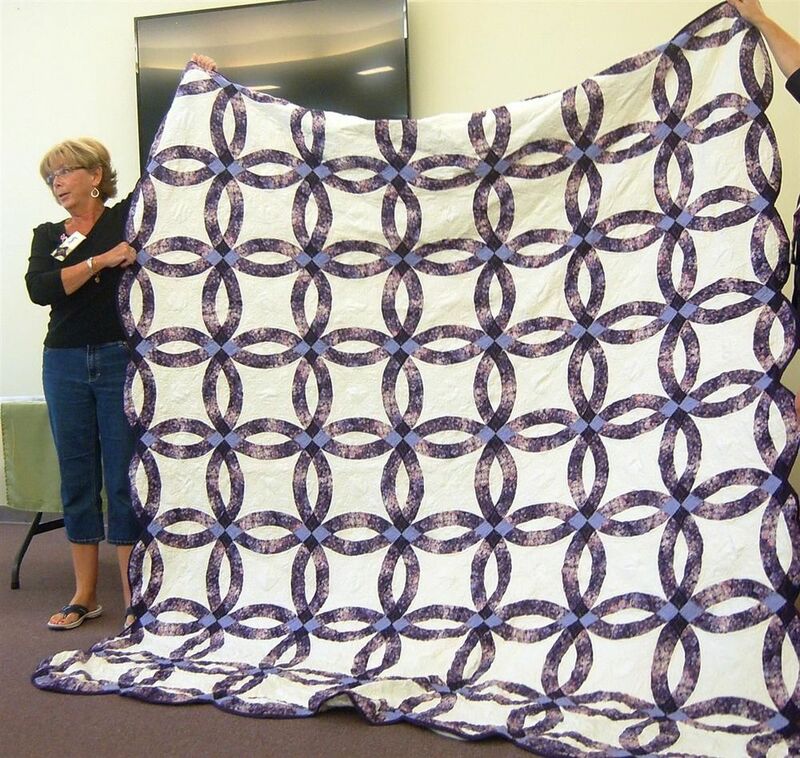 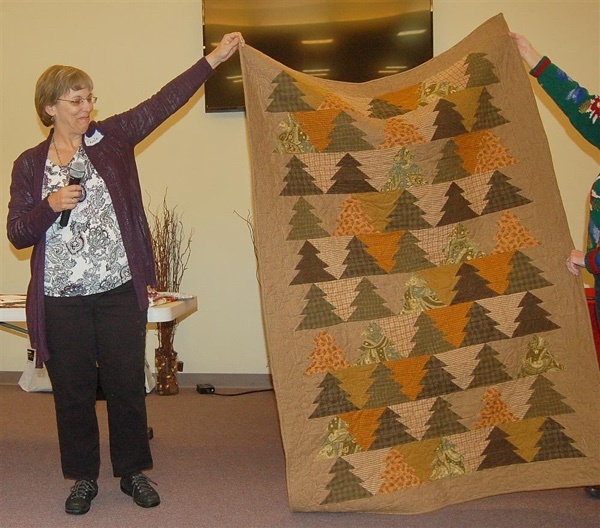 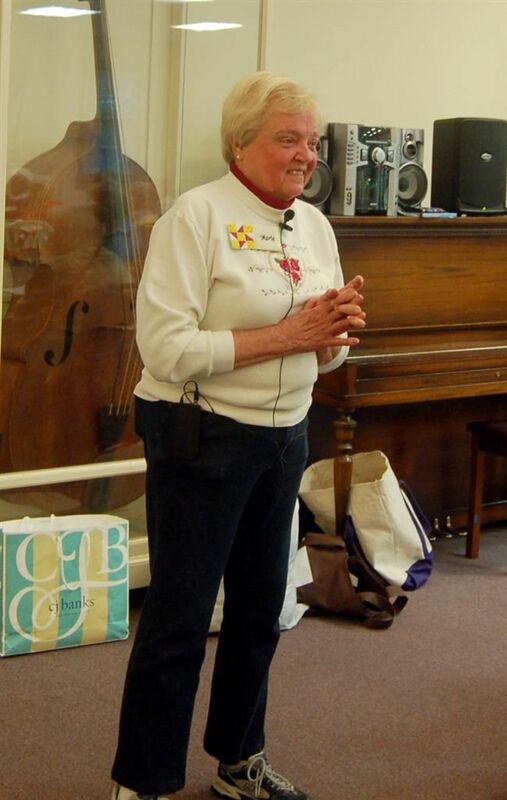 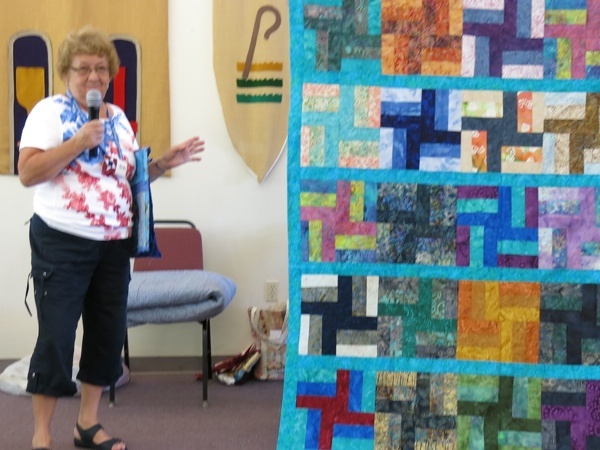 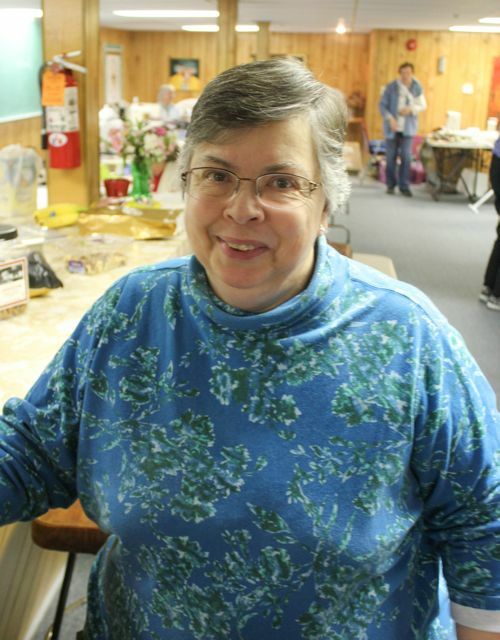 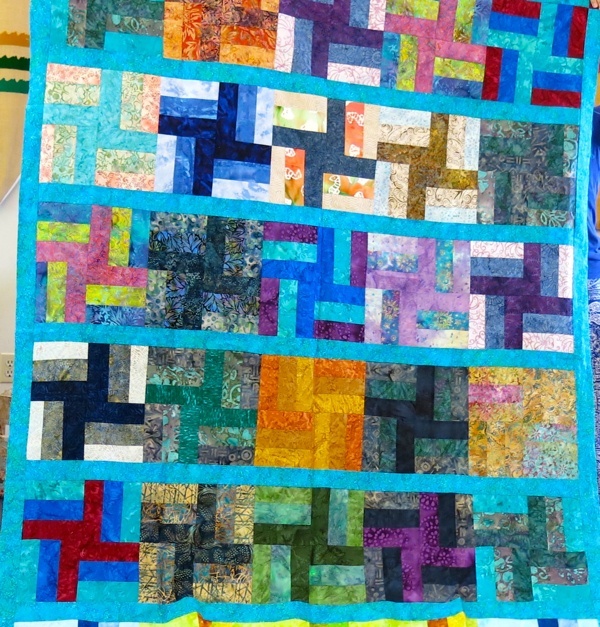 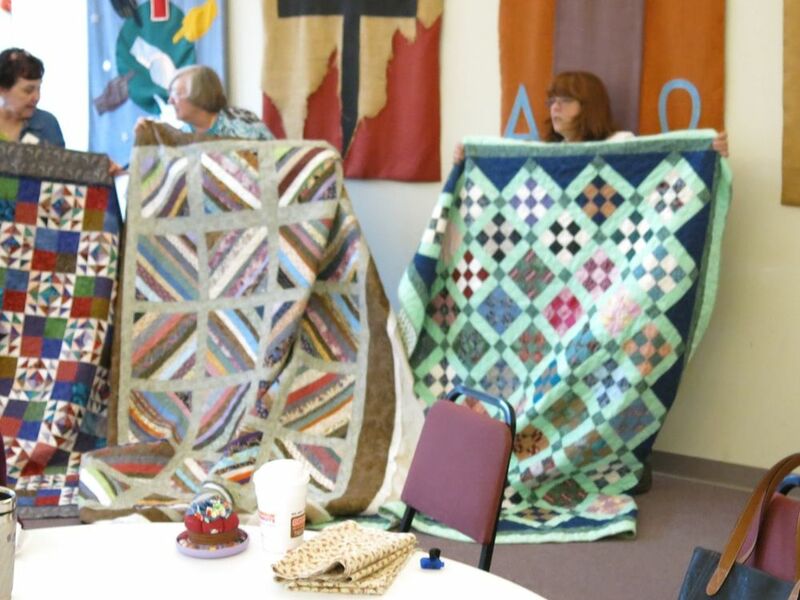 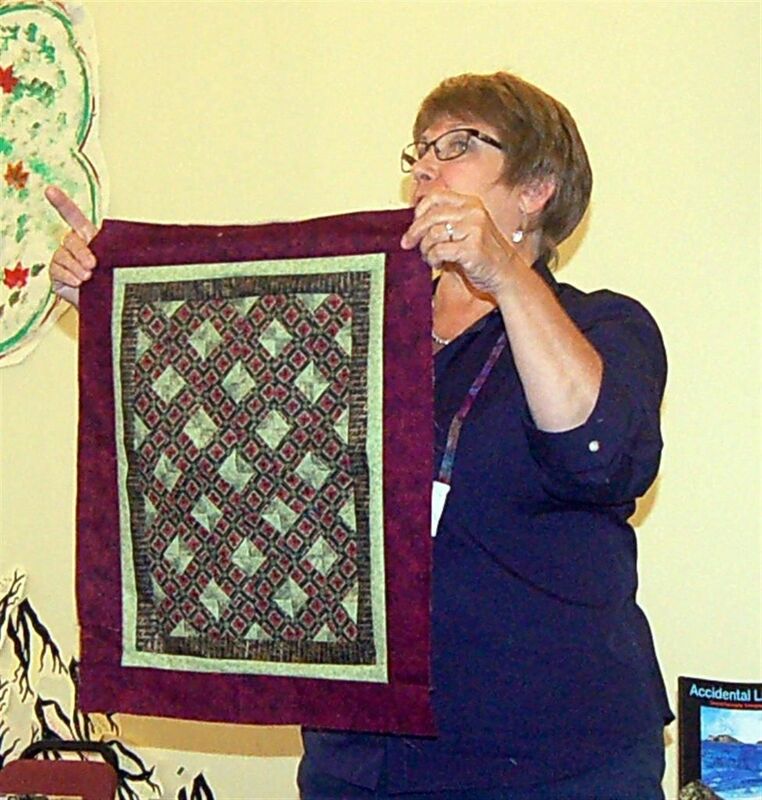 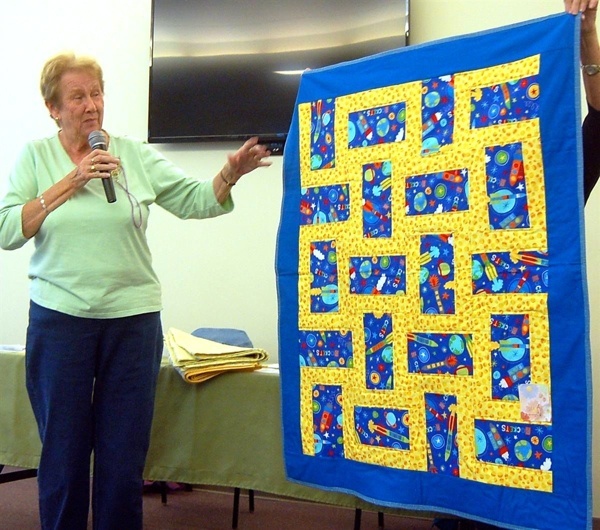 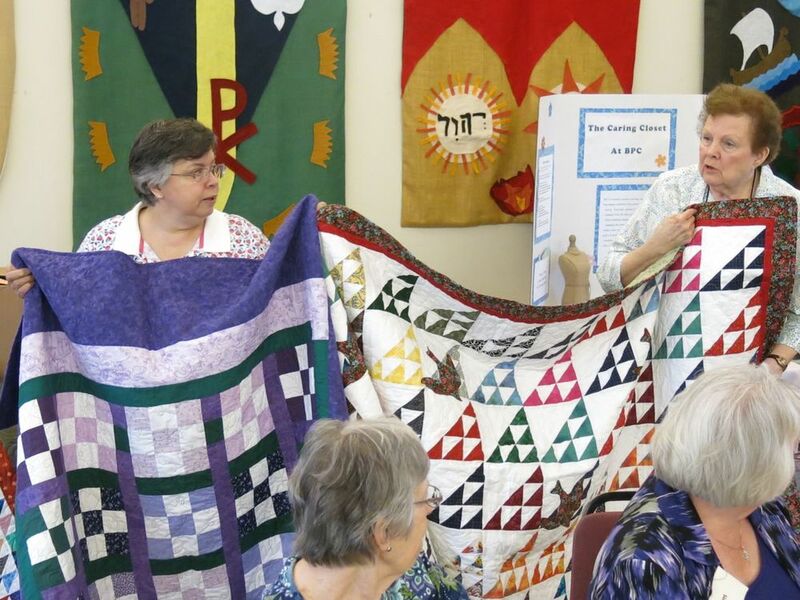 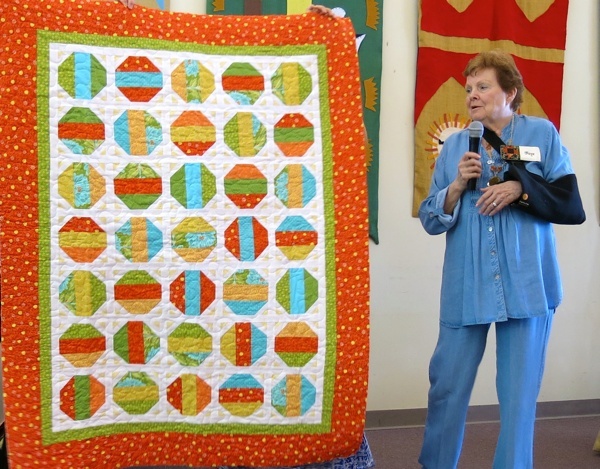 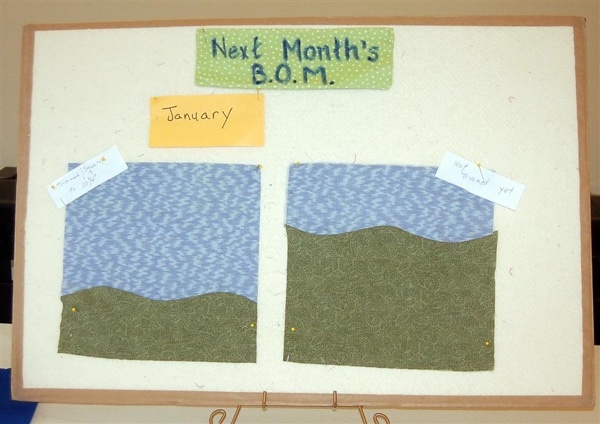 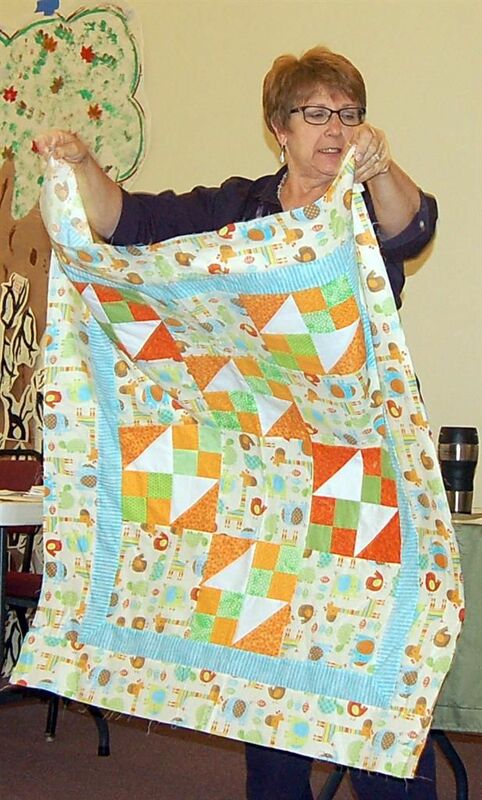 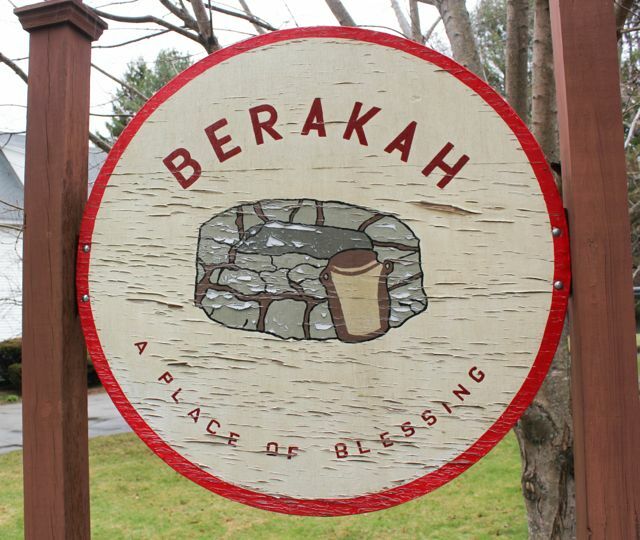 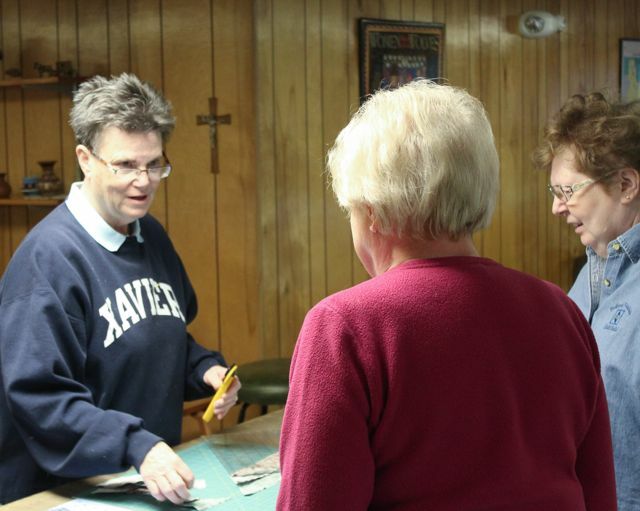 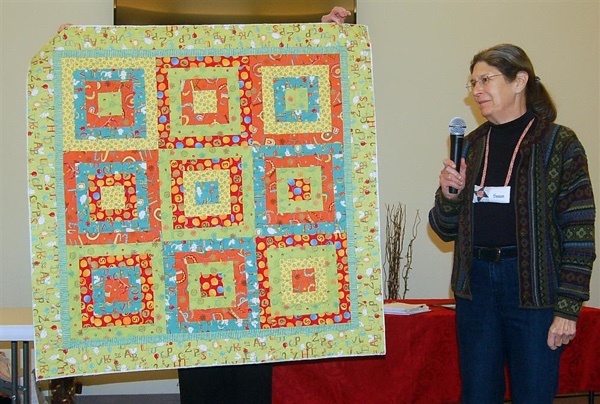 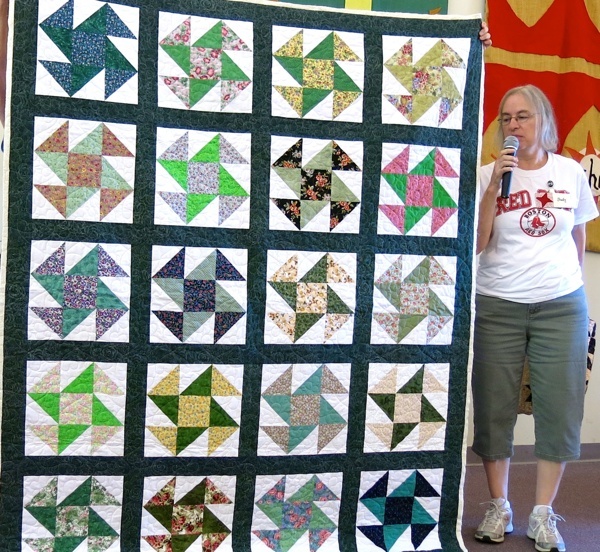 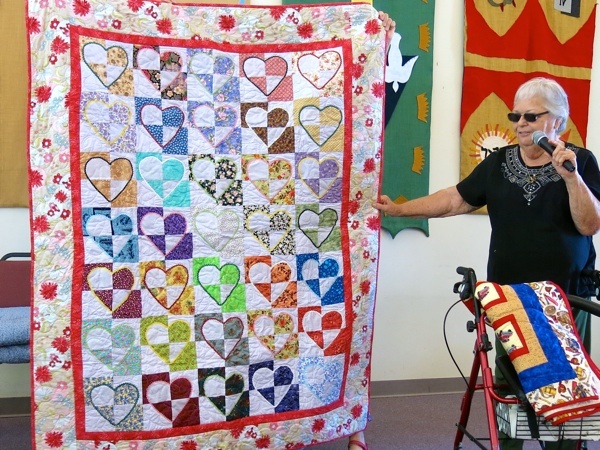 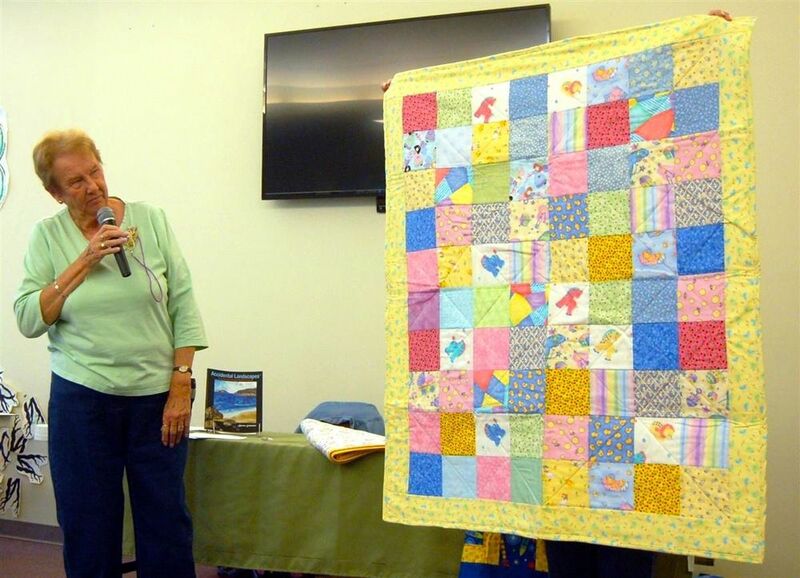 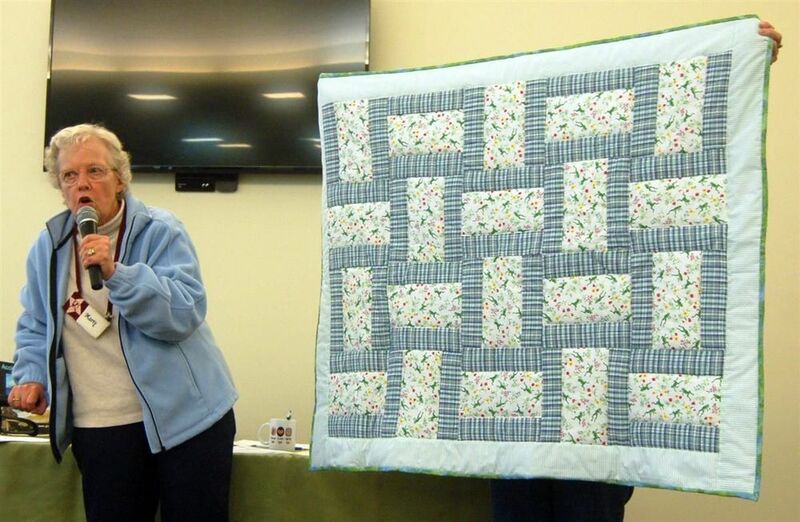 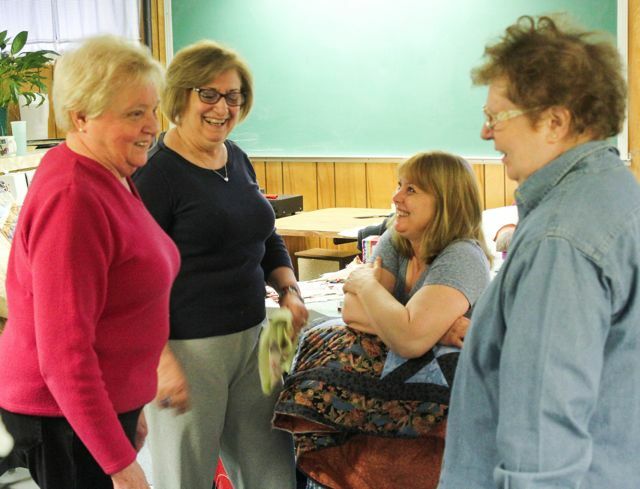 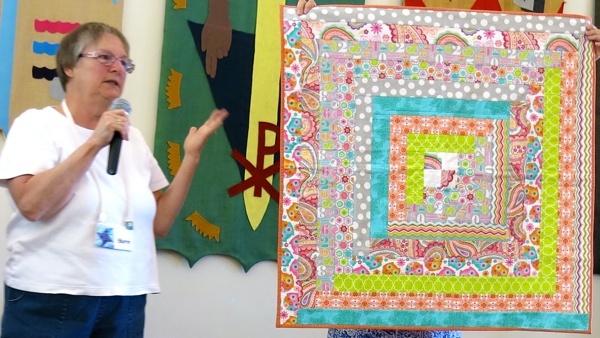 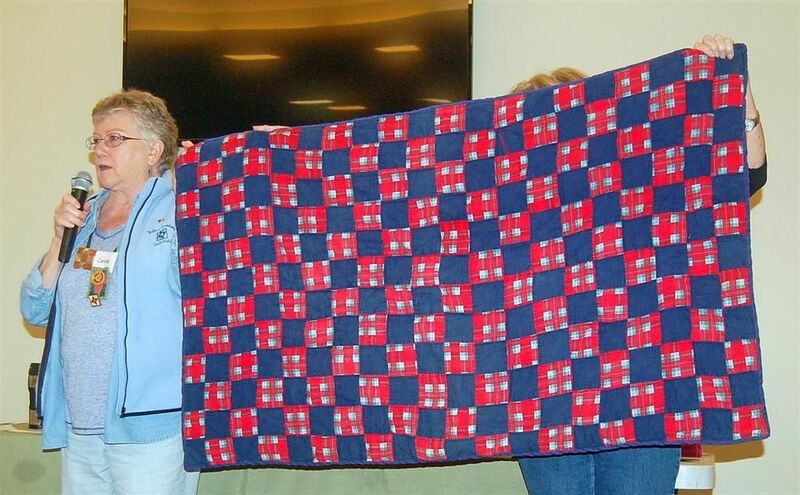 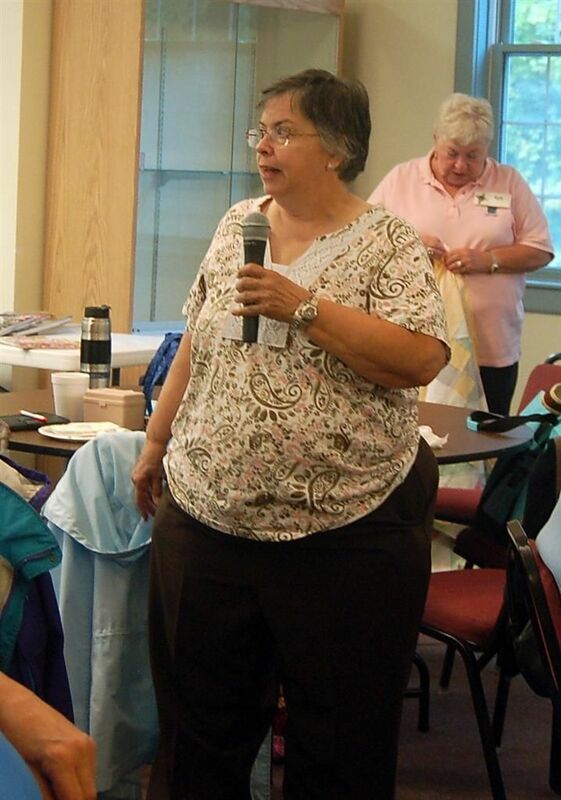 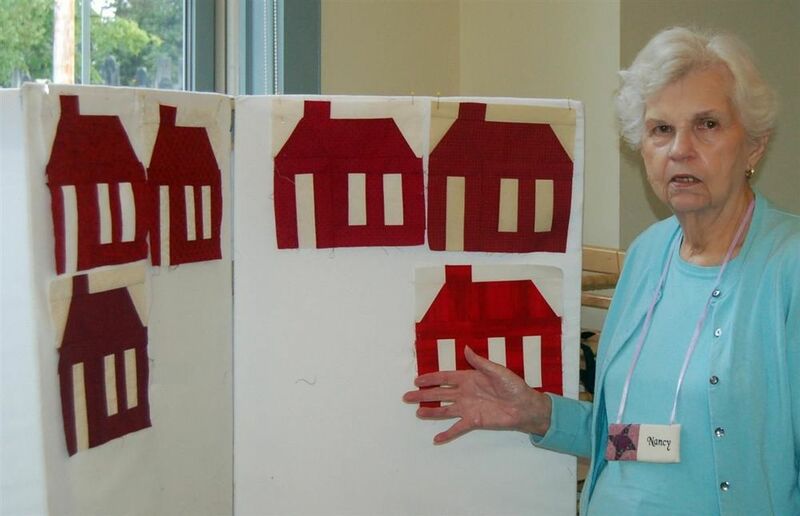 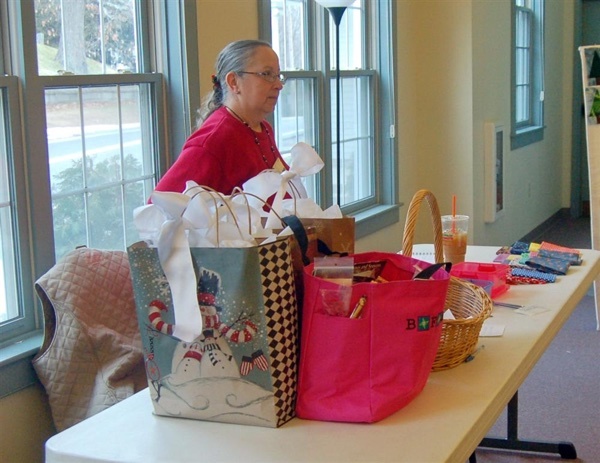 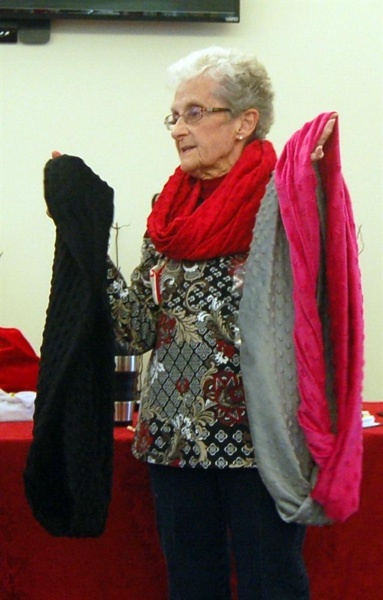 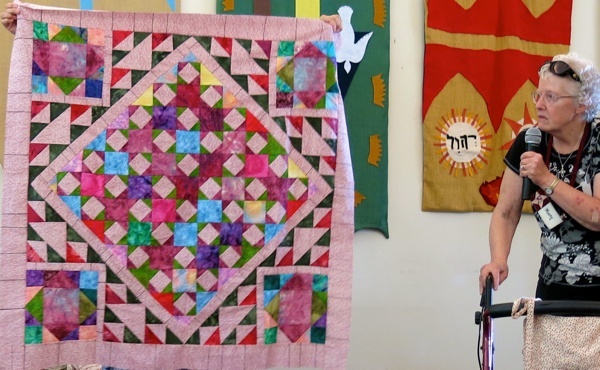 The first of an annual fund raiser for the New England Quilt Museum. 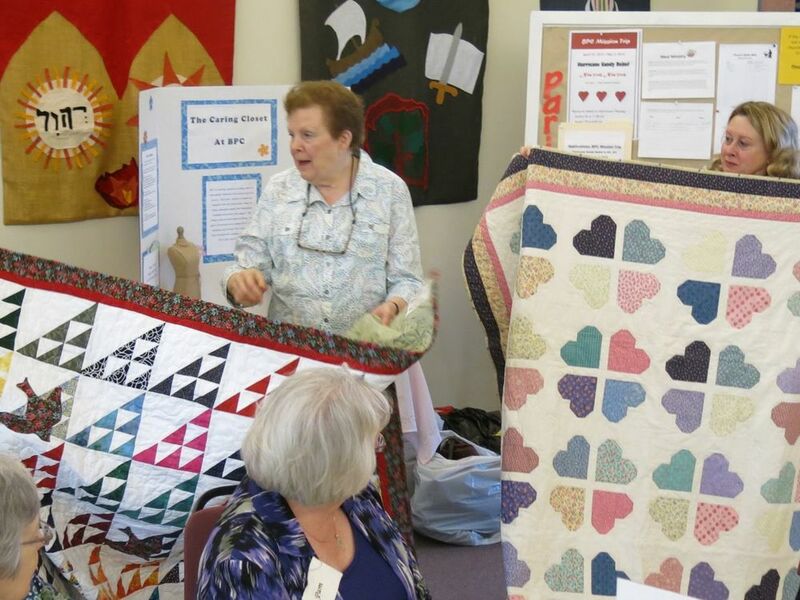 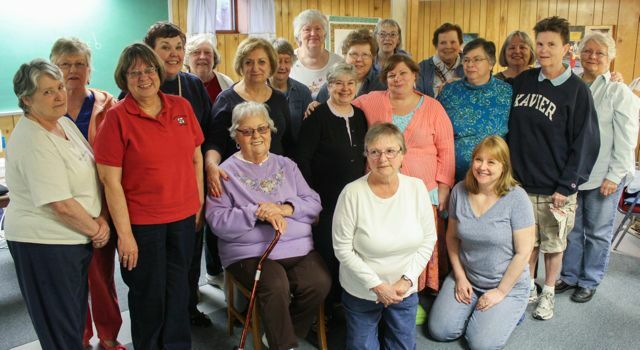 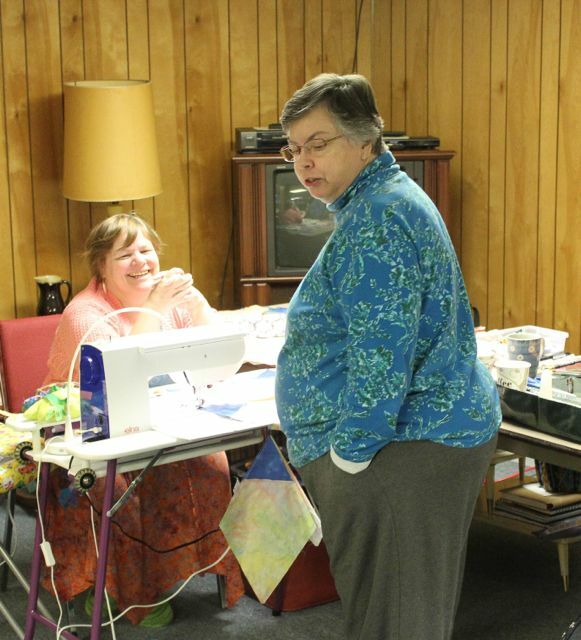 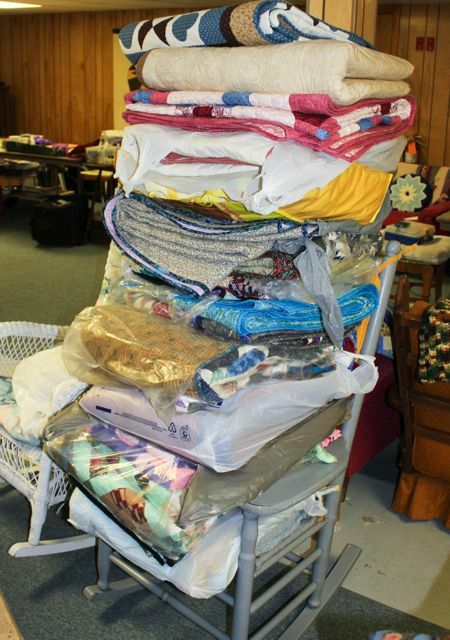 What a great time we all had and it was made possible through donations of quilt related treasures from members who in turn purchased "new" treasures.